A: This is indeed a canon-law question, since canon law (as we have seen numerous times before in this space) is driven by theology. Whenever an issue arises about who in the Church has the authority to do what, it’s generally safe to assume that canon law is involved. As surprising as it may seem, the speaker whom Kay mentions was correct. The Catholic teaching about papal infallibility is so thoroughly misunderstood—especially by non-Catholics with a hearty dislike for our Church—that some of the erroneous ideas that one encounters might almost be entertaining, if their absurdity didn’t at the same time reveal such sad misconceptions about the authority which the Pope really has. Many, if not most Catholics have heard statements like, “the Pope cannot err in matters of faith and morals” or “the Pope is infallible when he speaks ex cathedra.” These statements are absolutely true, and simply restate in different ways the Church’s teaching on this subject, which is also contained in the code. But how many people really understand what they mean—and at the same time, what they don’t mean? Let’s take a look first at what the code says on this subject, and at the history behind the law; then we can address Kay’s specific question. Canon 749.1 says that by virtue of his office, the Supreme Pontiff teaches infallibly when he proclaims, by a definitive act, a doctrine to be held concerning faith or morals. This sounds like a lot of power, and it is! But the canon is worded very carefully, to show the specific context within with it applies, and we need to unpack it to fully understand its limitations. First of all, nothing is ever proclaimed infallibly if it does not pertain to faith or morals. The Pope, who routinely comments publicly on current events, constantly makes statements which do not fit this description. Just recently, in fact, the Pope made some public statements about social networking and the use of Facebook. 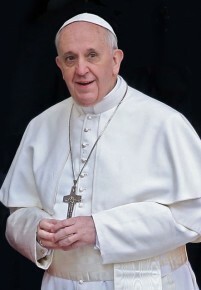 No doubt the Pope checked his facts and educated himself about this phenomenon before speaking publicly about it, and thus we Catholics should of course listen attentively and respectfully to what he has to say—but there is nothing infallible about his comments, because they do not directly address an issue of faith or morals. Thus it is quite possible that the Pope may have made a mistake in his remarks: he could have made a factual error, like getting a date or a statistic wrong; or he might have overlooked some aspect of social networking which he understandably knows nothing about. The point is, on such issues the Pope is a mere mortal like anyone else, and we Catholics are certainly not required to accept everything he said about Facebook as infallible! Secondly, the canon indicates that when the Pope speaks about doctrinal matters, he does not speak infallibly when he does not intend to. For example, many Catholics are familiar with Pope Benedict’s book, Jesus of Nazareth. Since the book deals directly with many aspects of Christ’s life on earth which pertain directly to Catholic teachings, it was assumed by many that the content of the book was infallible. But the Pope specifically stated at the beginning of the book that it was not to be regarded as an exercise of papal infallibility, but rather expressed his own “personal search for the face of the Lord.” Nowhere in the book do we find Pope Benedict proclaiming that anything he is writing must be held by all Catholics everywhere. The Pope did not write the book in order to proclaim anything infallibly, and so it is not infallible—it’s as simple as that. And it’s fortunate that he explained this to everyone in advance, because readers quickly found a factual mistake in the text, showing the world what Benedict himself already knows full well: he is human and thus subject to human error. This is, incidentally, how the term ex cathedra fits into the whole equation. The Latin phrase, which means “from the throne,” is intended to mean that the Pope is speaking in a deliberately formal, official way, exercising his power as the Vicar of Christ, seated on the chair of Peter, the first Pope. It is, of course, a metaphor, but its point is that when the Pope intentionally speaks in a definitive way on a dogmatic issue, he is being guided by the Holy Spirit and thus he cannot err. We can thus see why that the vast majority of papal statements and writings are not infallible pronouncements. Still, we Catholics know that throughout the past 2000 years, there have certainly been many official papal statements on doctrinal matters. So how is it possible that, as the speaker at Kay’s parish rightly said, it has only happened twice that the Pope has spoken infallibly? 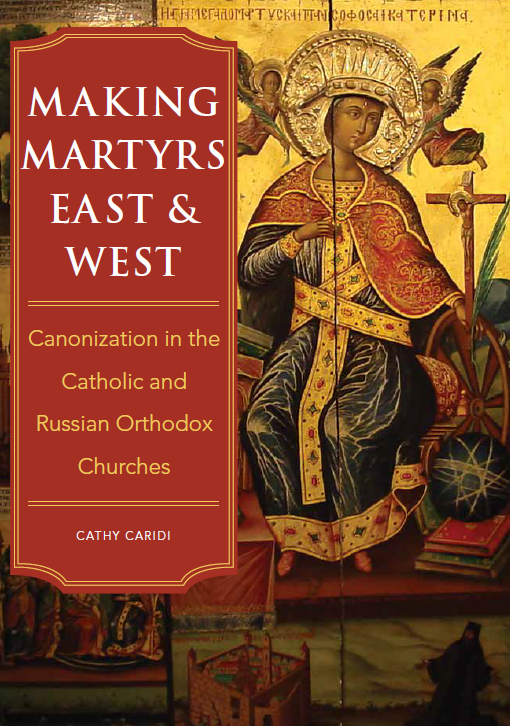 The answer to this seeming contradiction lies in the relatively short history behind the precise wording of canon 749.1. The fact is, the Catholic Church has accepted from time immemorial the general notion that the Pope, as Vicar of Christ on earth, cannot lead the Church into error. Since Christ Himself told Saint Peter, “Thou art Peter, and upon this Rock I will build My Church, and the gates of hell shall not prevail against it” (Matt. 16:18), there is little room for doubt that Peter and his successors are guiding the Church along the theological path that Christ intended. “We teach and define as a divinely revealed dogma that, when the Roman Pontiff speaks ex cathedra, i.e., when, in the exercise of his office as Shepherd and Teacher of all Christians, in virtue of his supreme apostolic authority, he defines a doctrine concerning faith or morals to be held by the whole Church, he possesses, by the divine assistance promised to him in blessed Peter, that infallibility which the divine Redeemer willed his Church to enjoy in defining doctrine concerning faith or morals. Therefore, such definitions of the Roman Pontiff are… irreformable. So if anyone should have the temerity to reject this our definition (which God forbid), let him be anathema” (IV, 4, 9). It should be easy to see that the wording of the relevant canon of the code, discussed above, is based ultimately on this carefully worded declaration from Vatican I. The Pope only speaks infallibly when he addresses dogmatic issues, and intends that his pronouncement constitutes a definitive statement which all Catholics must accept as the Church’s teaching. Historically, we could come up with countless examples of doctrinal statements made by previous Popes on matters pertaining to faith and morals. But in centuries past, they were not worded with this sort of unambiguous precision, because that’s simply not the way that the Church used to think. In the first few centuries of the Church, for example, when the Roman Empire outlawed Christianity and thousands upon thousands of Christians were brutally martyred for their faith, Popes issued teachings through simple letters, which were copied by hand and clandestinely passed around by the faithful. The legal niceties that subsequently developed over time simply did not exist back then! Therefore it would be totally anachronistic for us to sift through the history of the Church in a search for papal pronouncements that were made with the exact formulation found in this statement from Vatican I. That is why it is historically impossible to point to a particular papal decree issued in, say, the 15th century on some doctrinal matter, and conclude, “this was an infallible pronouncement.” The Church has, over the course of time, simply accepted that particular teachings on matters of faith and morals are, in fact, free from error. God has always been guiding the Church, since long before we Catholics began to use terminology like “dogmatic” and “infallible”! Clearly, the Pope was speaking on a matter of faith and morals, and intended that all Catholics must accept his declaration as Catholic teaching. Therefore, even though the definition of papal infallibility formulated during Vatican I did not exist yet, Catholic theologians agree that Pope Pius IX’s pronouncement constituted an exercise of papal infallibility. …by the authority of our Lord Jesus Christ, of the Blessed Apostles Peter and Paul, and by our own authority, we pronounce, declare, and define it to be a divinely revealed dogma: that the Immaculate Mother of God, the ever Virgin Mary, having completed the course of her earthly life, was assumed body and soul into heavenly glory. Hence if anyone, which God forbid, should dare willfully to deny or to call into doubt that which we have defined, let him know that he has fallen away completely from the divine and Catholic faith (44-45). It is quite evident that this was intended to be an infallible pronouncement, as it is formulated exactly as Vatican I had stipulated. (Note that Pope Pius did not specify whether Mary had actually died or not, before she was assumed into heaven. Catholics are thus free to hypothesize about both possibilities!) There is absolutely no doubt that this is an instance of the Pope speaking ex cathedra. To date, there have been no further papal pronouncements that have unequivocally met the criteria set forth by Vatican I. Thus we can see that the visiting speaker at Kay’s parish was absolutely correct. The Pope has the ability to exercise formidable power, as a human being who represents Christ here on earth. But history shows us that Popes are not quick to use that power lightly! We can rest assured that in the future, should Pope Benedict or any of his successors decide that it is time to define some doctrinal matter, we Catholics will be able to see plainly, from the formulation of his declaration, that that is what he intends to do. This entry was posted in The Pope and tagged canon law, Catholic, infallibility, Pope. Bookmark the permalink.